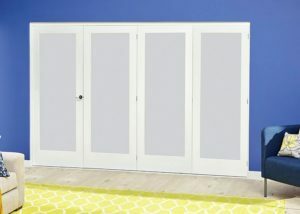 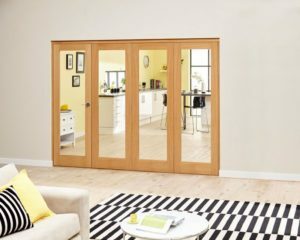 The NUVU Contemporary White 4 lite internal Bi-folds make a statement and will be a fantastic addition to a modern home. 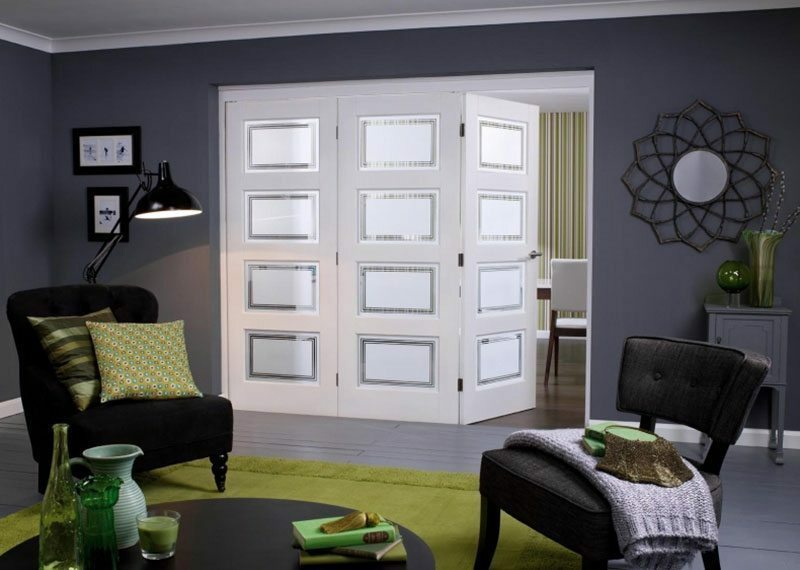 The clear and frosted glass pattern ensures light flows from room to room. . These are available in 3 or 4 door configuration with 3 different door widths. 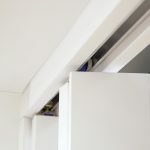 As these are a top hung set your flooring can flow from one room to another without interruption. 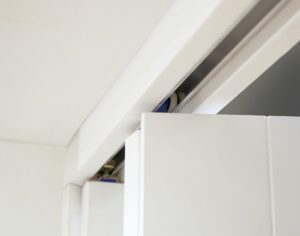 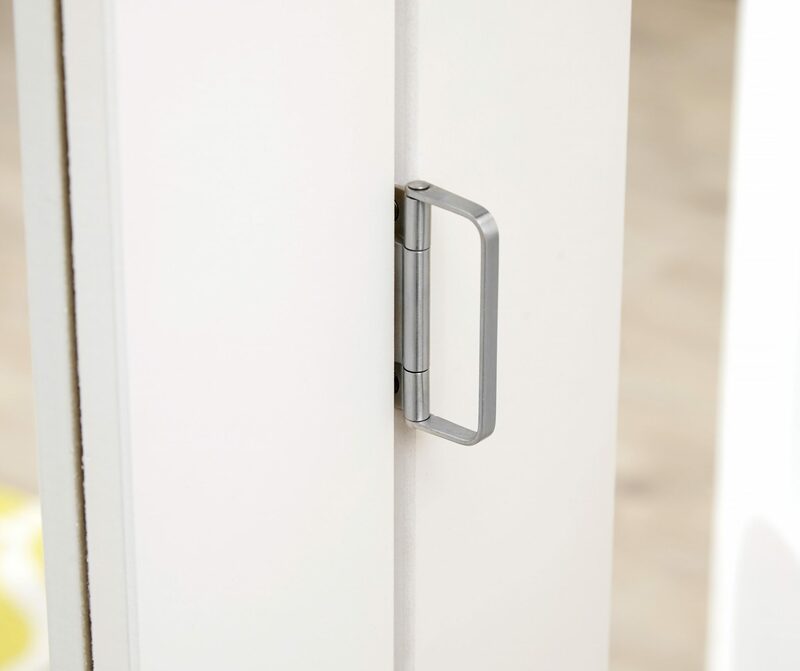 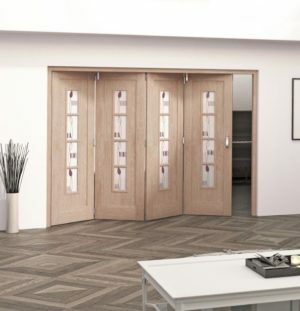 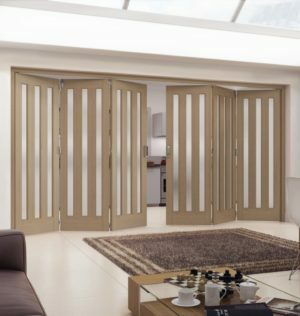 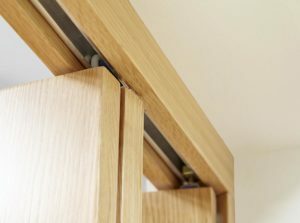 All of our doors are supplied with a pack which includes the frame pack, doors (supplied unfinished, so you can match it to your architraves and skirting boards), hinges, running hardware and head track. 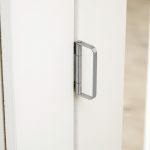 We don’t supply the door sets with drop bolts or door handles to allow you to match the existing ironmongery in your room.